SACRAMENTO, Calif. (CN) – With statewide solar power generation already at an all-time high, California is hungry for more green energy: By 2020, most new homes built in the Golden State must be outfitted with solar panels. State regulators on Wednesday unanimously approved the first statewide solar building code requirement for new homes three stories or less. All approved residential construction plans issued after Jan. 1, 2020, must include some form of solar power system. Backers claim the solar rules are necessary to comply with the state’s stringent renewable energy mandate, which requires utilities to derive at least 50 percent of its electricity from clean sources by 2030. Gov. Jerry Brown, a Democrat, signed the climate change bill in 2015 despite intense lobbying by the oil industry. Wednesday’s groundbreaking decision will have a financial drawback: the required solar panels are expected to add around $10,000 to individual new home costs. California’s average home costs are already well above the national average thanks in part to a diminished supply – a challenge for which all six major gubernatorial candidates say they have a solution. Nonetheless, construction groups said they are eager to comply and testified in support of the rules in downtown Sacramento. They thanked the commission for involving the building industry in the drafting process. “Adoption of these standards represents a quantum leap in statewide building standards; no other state in the nation will have anything close to this and you can bet every one of the other 49 states will be watching close to see what happens,” testified Bob Raymer, director of the California Building Industry Association. California, which has the largest GDP of any state and is now the fifth largest economy in the world, continues to pursue ambitious climate goals in spite of the Trump administration’s dismantling of climate treaties and nationwide clean energy and air standards. Lawmakers view the solar industry as a major factor in the state’s financial rebound from the last recession and key to its energy infrastructure. While California continues to produce massive amounts of oil and gas, the state’s solar industry has simultaneously blossomed over the last two decades. According to the Solar Foundation, California employed over 86,000 solar workers in 2017, with Massachusetts next with 11,500. There are 250,000 solar jobs nationwide, with most employees involved with the installation of new systems. Despite the federal government’s push to revive coal and oil production, solar power continues to boom in California. The state set a solar power generation record in April and regulators say the state is on track to meet its 2030 renewable energy goal. The commission estimates 30 percent of the state’s retail energy sales came from clean sources in 2017. 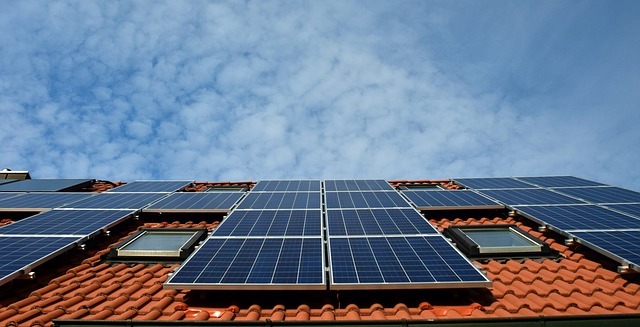 Utilities uniformly applauded the commission’s solar rules which were 12 years in the making. Pacific Gas & Electric and Southern California Edison both testified in support of the standards, calling the rules fair, balanced and consumer-friendly. While California will become the first state with a solar requirement, several of its cities have already enacted similar laws. San Francisco became the first major U.S. city in 2017 to require builders to install solar panels on at least 15 percent of new homes and buildings. State Sen. Scott Wiener pushed for the solar requirement while on the San Francisco Board of Supervisors, and also introduced a bill last year that would have required all new commercial and residential buildings to have solar panels. Wiener, D-San Francisco, eventually froze his bill at the energy commission’s request. The new regulation must still be approved by the state’s building standards commission, which is considered a formality. That group will take the issue up this fall.